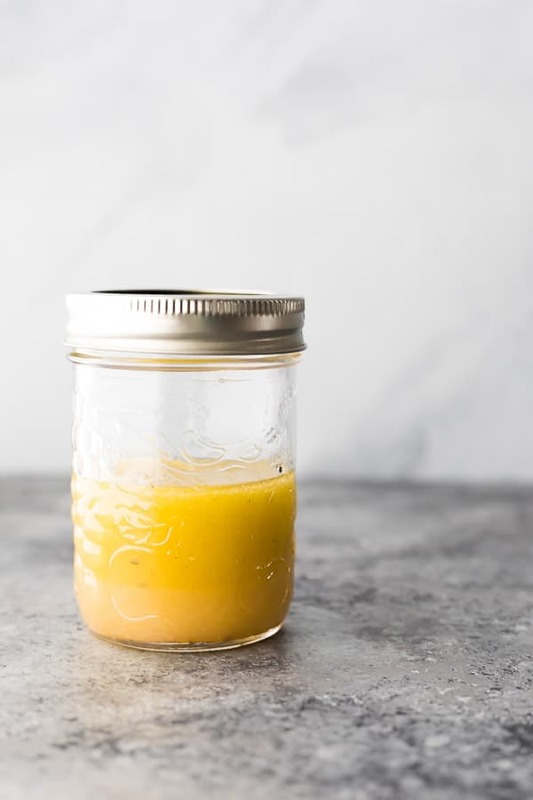 My FAVORITE white wine vinaigrette is the perfect blend of sweet, savory and tangy, and can be prepped in under 5 minutes! It’s definitely convenient to go for a store-bought salad dressing, but once you read the label filled with unpronounceable ingredients? Kind of scary. 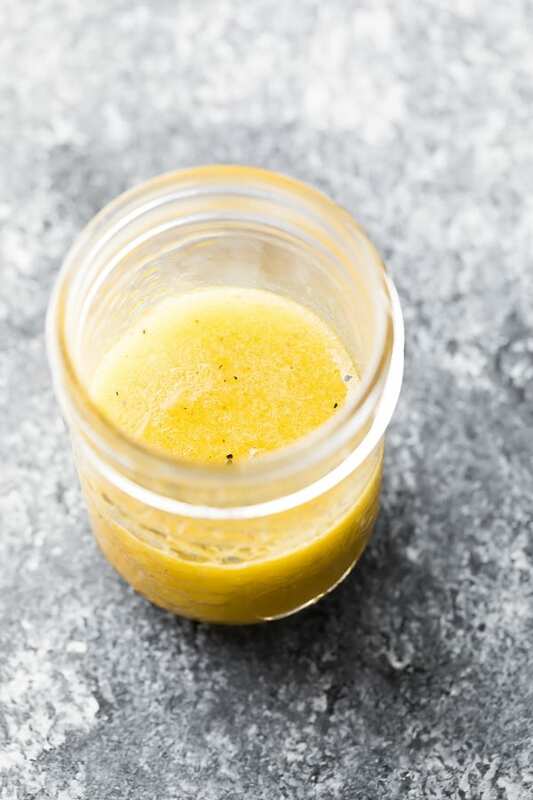 I’ve been making this white wine vinaigrette for years…in fact, you’ve seen it in MANY recipes on this site already. 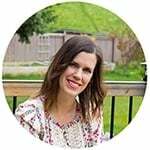 It’s definitely time to give this recipe it’s own post. Olive oil- I opt for a good quality olive oil when making a vinaigrette, so I pick extra virgin olive oil. Dijon- I am not a mustard fan, but adding just a smidge of dijon to a vinaigrette helps bring all the flavors together. It is an emulsifier, which is fancy speak that means it prevents the oil and vinegar from immediately separating. Honey or maple syrup- we don’t use much, but adding a sweetener really rounds out the flavors. Without it, the dressing is just tangy and flat. What goes well with a white wine vinaigrette? 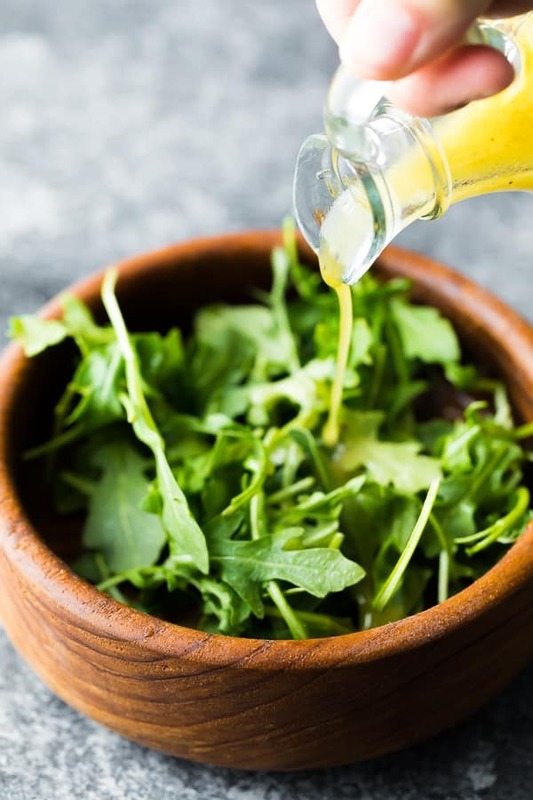 This dressing is such a neutral one that it goes well on any salad…seriously! If you are looking for a good all-purpose dressing, this is the one for you. 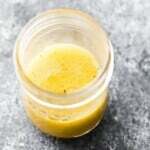 Add some extra pizzazz to this white wine vinaigrette! The base white wine vinaigrette recipe is so fun to play around with. 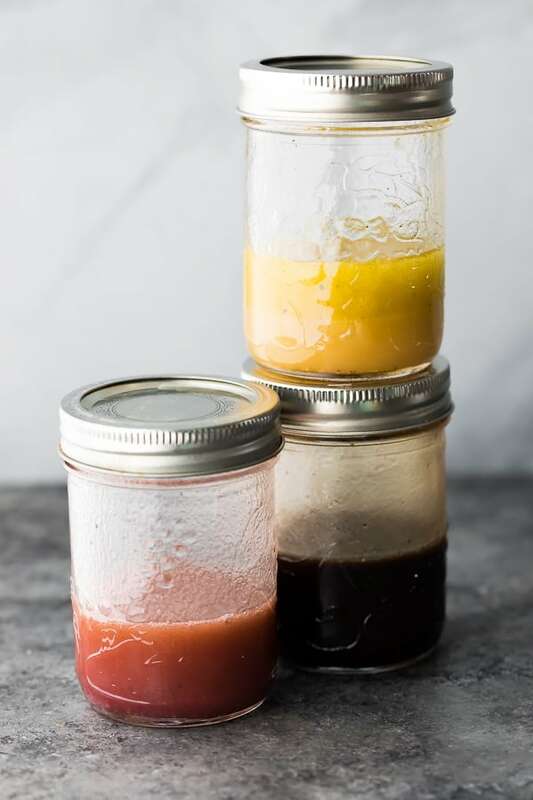 So many of my vinaigrette recipes on this blog are slight variations on this base. 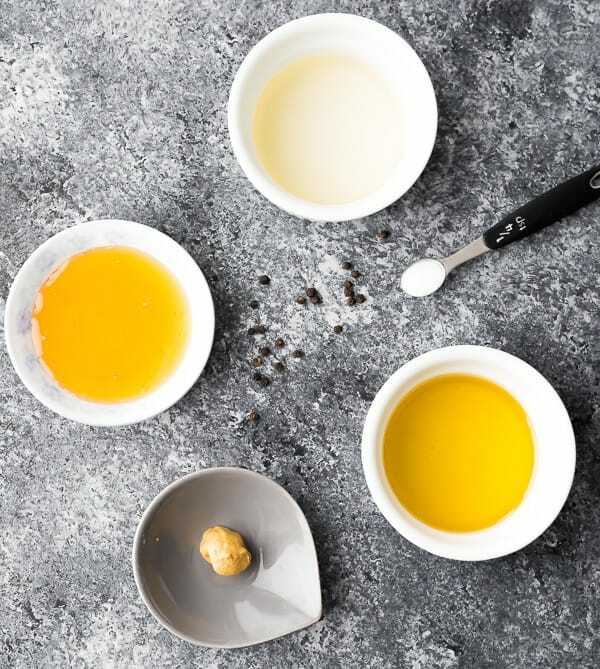 Looking for more dressing or vinaigrette recipes? Keeps in the fridge for up to one week. * NOT to be confused with white vinegar!